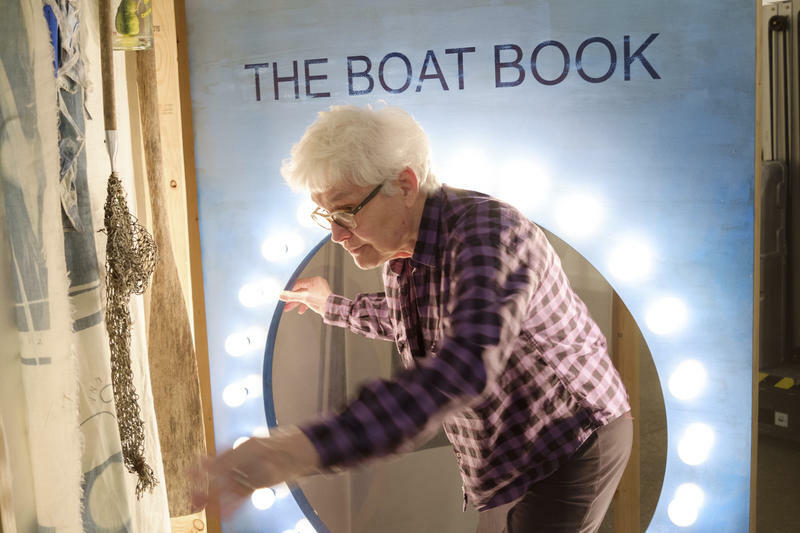 Artist Alison Knowles steps through a 'page' of her 2014 work The Boat Book, which was inspired by her brother, a fisherman. 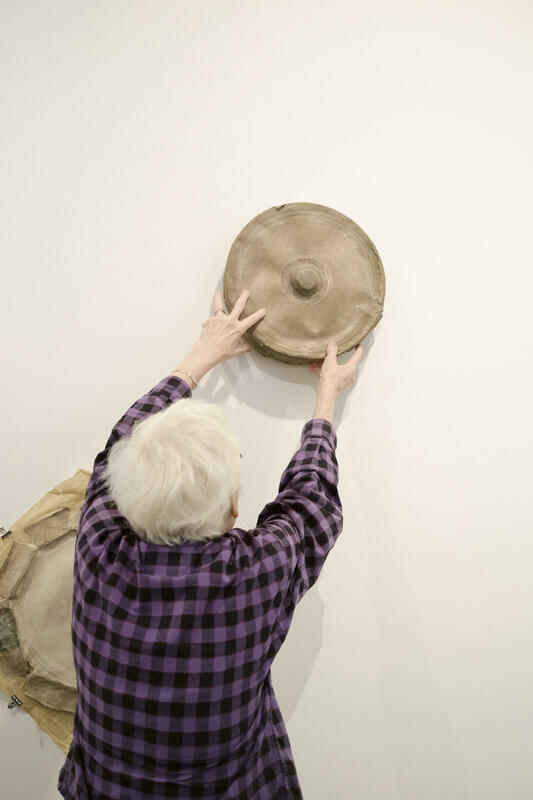 Artist Alison Knowles takes a 'bean chime' of hers off of a wall of the Carnegie Museum of Art. 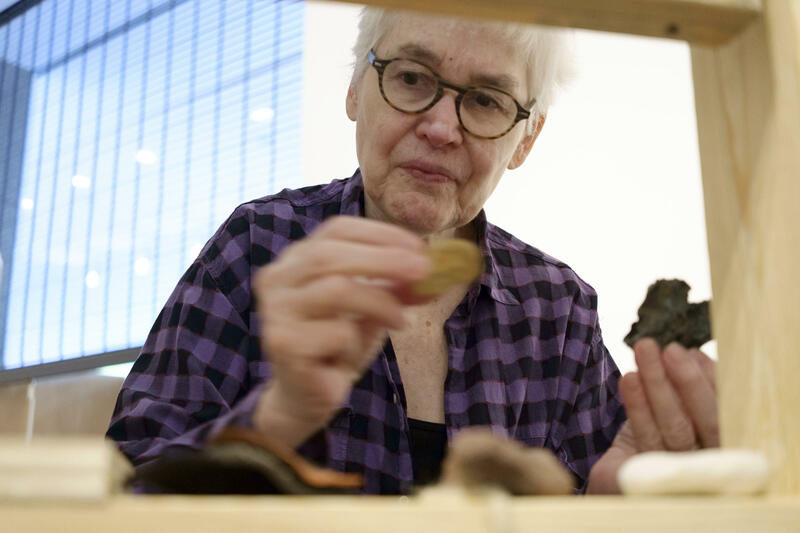 Artist Alison Knowles handles objects collected from a Long Island beach, part of her large-scale 2014 piece "The Boat Book." 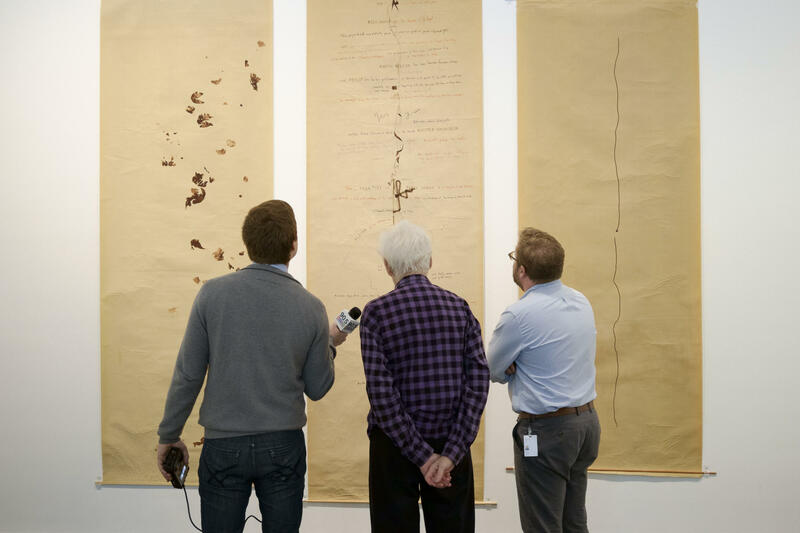 From left: Noah Brode, Alison Knowles and Eric Crosby examine a Knowles performance art score on display at the Carnegie Museum of Art. 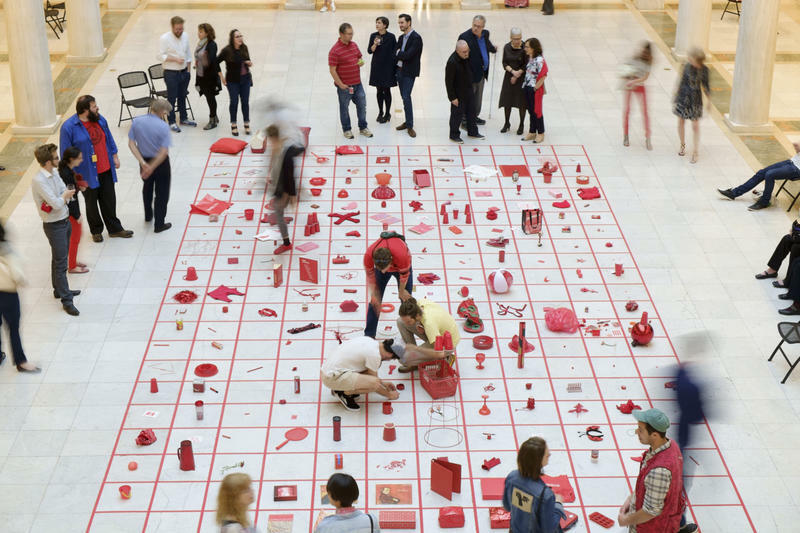 Visitors peruse through various red objects during Celebration Red, an interactive art exhibit by Alison Knowles at the Carnegie Museum of Art on Thursday, May 19, 2016. The event also marked the opening of the artist's retrospective exhibition. Beans play a prominent role throughout the artist’s entire body of work: her Bean Rolls of 1963 involve small scrolls held inside tin containers bearing the word Fluxus. Each scroll contains pages worth of information about beans, whether it’s text, photographs or even a song. “Here it says, ‘The Trobriand islanders blessed the beans when they plant the seeds. Among Christians, the flower of the bean is associated with All Souls’ Day, and it is then that the garden beans are blessed,’” she reads from one of the many scrolls. Another one of Knowles’ interactive pieces at the Carnegie Museum is The Bean Garden, where visitors will be able to tromp around in a bed of dried beans and have the sounds amplified loudly in stereo. She explains that beans have a personal significance for her. “I lived through the war years in a rather poor family, and beans were our staple, so even cooking and preparing them became very artful for my father,” she says. Also on display is a portion of House of Dust, a pioneering piece of computer-aided poetry created by Knowles and composer James Tenney in the late 1960s. “A house of snow / In a place with both heavy rain and bright sun / Using electricity / Inhabited by those who could achieve success,” reads one of the stanzas. Although the Carnegie exhibit focuses on the more concrete side of the artist’s output, Knowles is perhaps better known for her performance pieces, like 1962’s Make a Salad, where she turns the simple act of food prep into art and then feeds the result to the onlookers. 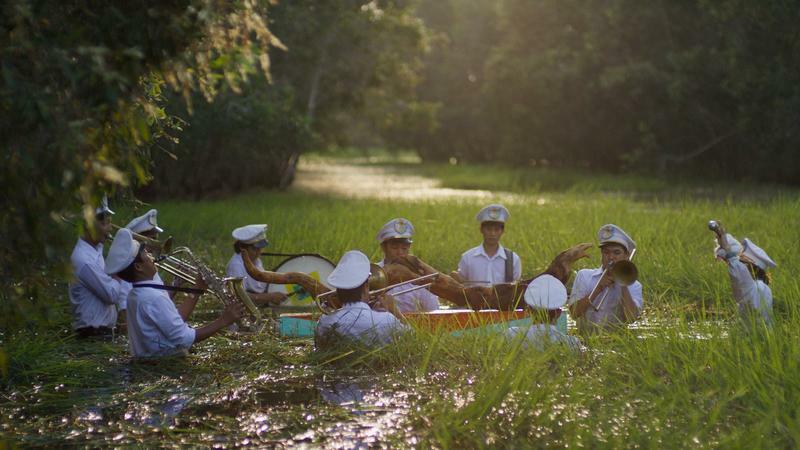 The underlying idea is almost existential: to persuade the people in the audience to think deeply about the little moments that make up their lives. Knowles says her conceptions of sound and performance were influenced deeply by her friendship with the revolutionary composer John Cage, who she met in New York in the ‘60s. Cage’s music was sometimes “aleatoric,” leaving some elements up to chance or to the decision of the player. That philosophy heavily influenced the performance pieces of the Fluxus artists, who would create “scores,” or written instructions that gave general outlines for acting out artworks. Carnegie Museum curator Eric Crosby says Knowles has been engaged by museums across the world and even the White House for her performance art. But he says this may be the first time that this many of her studio works – which carry the same “in the moment” theme -- will be displayed in a single room. Visitors can come to the Carnegie Museum of Art for free from 6 to 8 p.m. Thursday, but they should be prepared to participate: each guest is being asked to bring in an everyday object to fit into any of about 800 1-foot-by-1-foot squares on the floor of the museum. The only rule, says Crosby, is that the objects must be red. 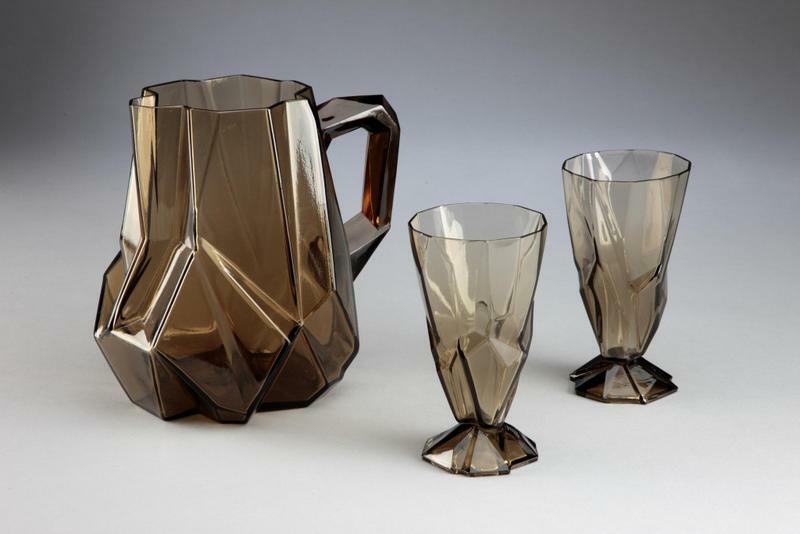 The full Alison Knowles exhibit opens to the public tomorrow and runs through October 24. 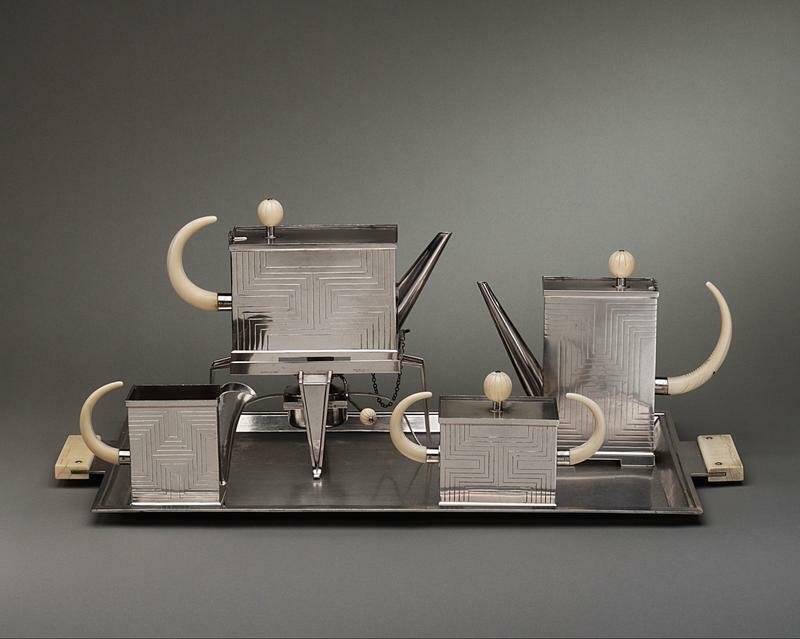 The Hot Metal Modern exhibit, which opened last month, at the Carnegie Museum of Art, is the first in a series of exhibitions highlighting Pittsburgh’s role as a design center from the 1920’s through the 1960’s.